Each episode is a real catch up call between 2 friends and ex-co founders Marshall Haas and Jon Wheatley. In this episode we cover: How much this podcast cost to make Marshall's ridiculous experience selling rental property & buying new investment property remotely Getting linked in the New York Times Making a demo video for stopwatch.com Bali is insanely cheap! Marshall getting everything stolen in Italy A new email newsletter we're obsessed with If you have comments or questions you can tweet them at us. We're @marshal & @jon on twitter. 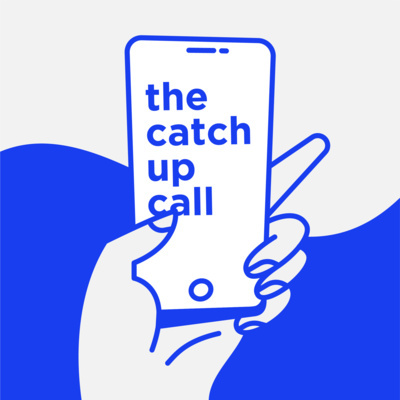 Welcome to the first episode of the catch up call podcast! Each episode is a real catch up call between 2 friends and ex-cofounders Marshall Haas and Jon Wheatley. In this episode we cover: Updates on the past year since Jon left Need/Want Marshall living as a nomad, associated costs and logistics, and what it's like running Need/Want remotely. We discuss trump tariffs and how they've effected the business. Jon shares his vision for his new company, a social network called Stopwatch. We talk about tools and projects that have caught our attention lately.